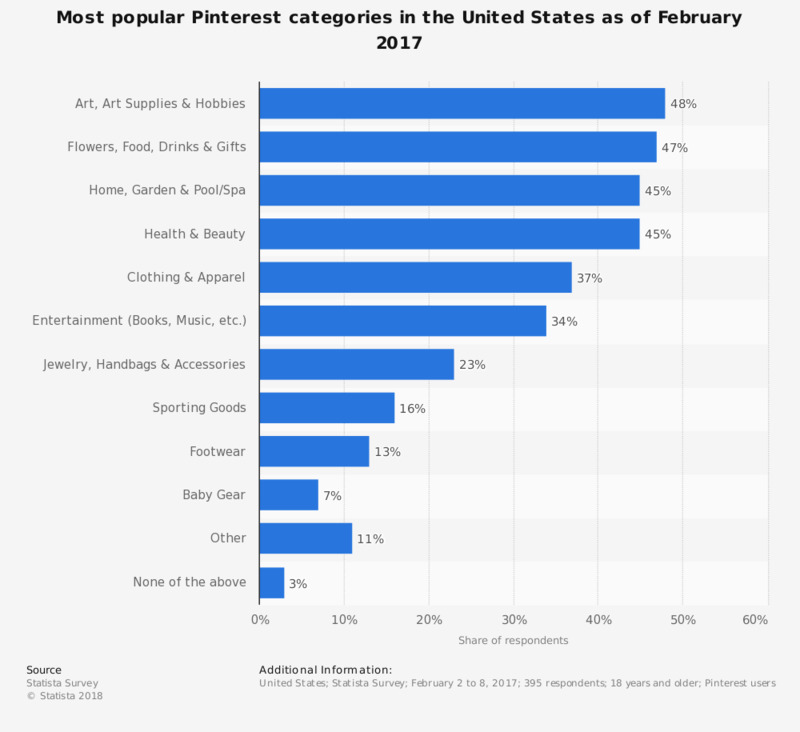 This statistic gives information on the most popular Pinterest categories according to users in the United States as of February 2017. During the survey, it was found that 37 percent of responding Pinterest users liked the clothing and apparel category on the site. Original question: What categories on Pinterest do you like most?